Submit Your Proposal for the 58th Season! 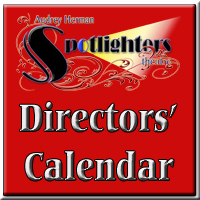 Spotlighters is seeking Directors with a show for the 19/20 Season. 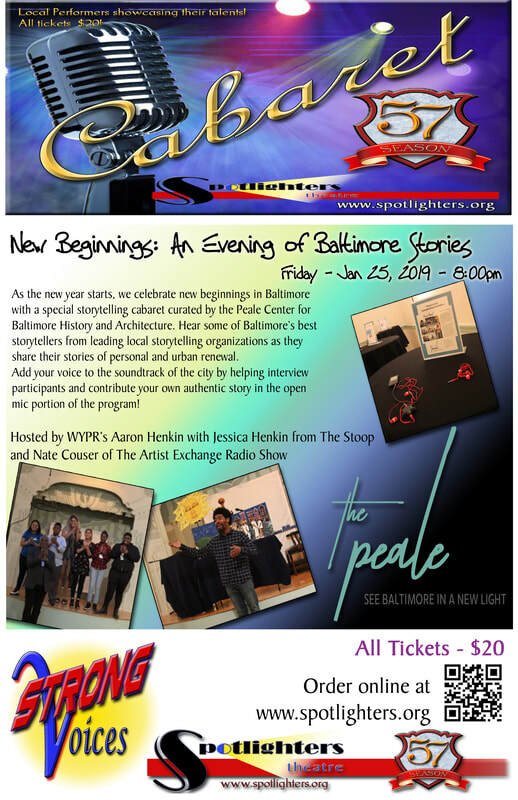 As the new year starts, we celebrate new beginnings in Baltimore with a special storytelling cabaret curated by the Peale Center for Baltimore History and Architecture. Hear some of Baltimore’s best storytellers from leading local storytelling organizations as they share their stories of personal and urban renewal. Add your voice to the soundtrack of the city by helping interview participants and contribute your own authentic story in the open mic portion of the program! Local performers presenting an evening of entertainment and fun! ​Marie Bankerd has been a costumier, hair and wig designer, and performer in the Baltimore area for thirty years. She was the resident designer/fabricator for the Baltimore Actors' Theatre and Oregon Ridge Dinner Theatre for twenty-five years, creating costumes for countless musical productions including Babes in Toyland, The Merry Widow, and the U.K. and Australian Tour of their original Phantom of the Opera. Marie loved costuming all of the over one hundred productions that she has worked on; some of her most cherished are Romeo and Juliet and Beauty Queen of Lenane at Spotlighters Theatre, The Addams Family and Les Miz at Milburn Stone Theatre, Jacques Brel…, Reefer Madnessand Rocky Horror with Factory Edge Theatre Works, The Quest at BaltiCon, Jekyll and Hyde at Third Wall Productions, Picnic at Streetlamp Productions, Trial by Jury and Iolanthe for the Young Victorians, Return to Putty at Muhlenberg College, Rena: the Musical at Montclair Opera Club, The Mehal Manuscripts at Seton Hall University, A Holiday How-to at The Pit Theatre in NYC, and an incalculable number of Revues, Special Events, and Solo Performances. Memorable hair designs include Cats at MST, King Lear at Single Carrot, and Madame Butterfly at Annapolis Opera Company. Marie continues to teach Hair and Wig Masterclasses throughout the area. Her favorite performing credits are Madame Giry in Phantom of the Opera, Tessie Tura in Gypsy! and Cinderella's Stepmother. Robert Henry Welton is a native of Cleveland Ohio but has lived in Baltimore since the mid 80's. He is the former Director of Clinical Development for the University of Maryland Medical System. He has a life-long love of cooking but until taking over the catering duties for Spotlighters had never cooked for anyone other than family and friends. He credits his grandmother and mother for teaching him how to cook, and his idols Julia Childs and Ina Gartner for continuing his culinary education through their TV shows and cookbooks. His other passion is gardening, and he grows a lot of the vegetables he uses in his recipes. He and his husband, Timoth, recently celebrated their 20th anniversary with a trip to Paris where they ate their way across the city. - Some roles may be pre-cast, and will be noted in the audition notice. - All actors should bring their resume, current headshot, and rehearsal conflicts to the audition. - All auditions are OPEN CALL unless noted in the specific audition notice. - Please verify that you are available for all performances. - All roles are non-equity (non-union) and are non-paid. - Spotlighters attempts to cast age appropriate actors when possible, and follows a color-blind / color-conscious casting policy when allowed by script or license. Show Times: Fri & Sat at 8PM, and Sun at 2PM. Be ONE of ONE HUNDRED! Decide today to support the work of Spotlighters Theatre and the hundreds of artists, designers & technicians that create the Challenging & Engaging performances you see. Make a small monthly donation -CLICK HERE- and you will make a difference in someone's life! ​Click on Image ​for more info or tickets! Theatre education programs for youth in grades K - 12. Help Spotlighters when you shop smile.amazon.com ! 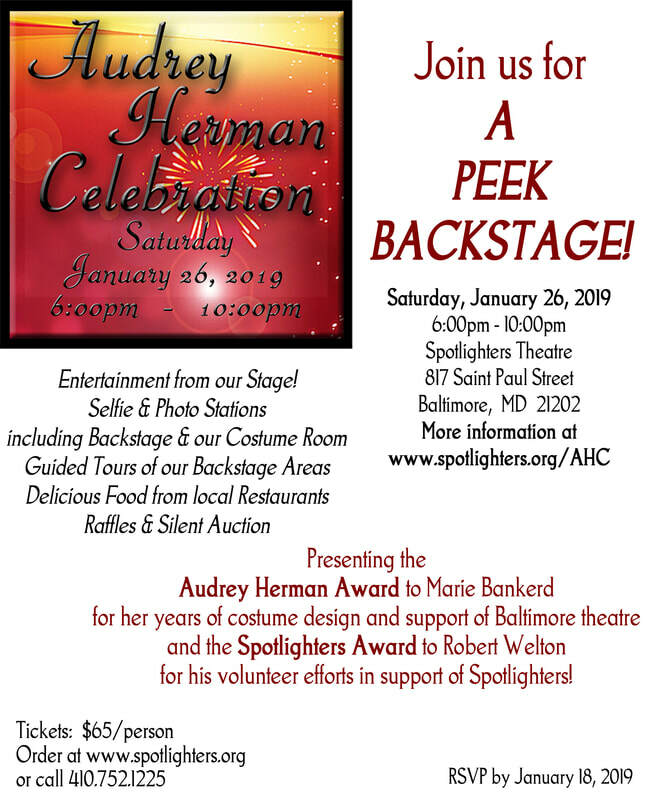 Go to smile.amazon.com/ch/03-0547060 and Amazon donates to Audrey Herman Spotlighters Theatre Inc.
which entertain and stimulate both audience and artists. the experience that is Live Theatre.